Join us in April to paint a lovely deco inspired painting at Pinot’s Palette! The tickets are $45 per seat and there are only 46 seats available! A portion of the proceeds will be donated to the museum. Our museum’s collection is mostly through the generosity of collector Debby Kelsey, affectionately known as Deco Debby. She has been collecting Art Deco for a great portion of her life. One of her collections we are very pleased to display in our museum are these Frankarts. 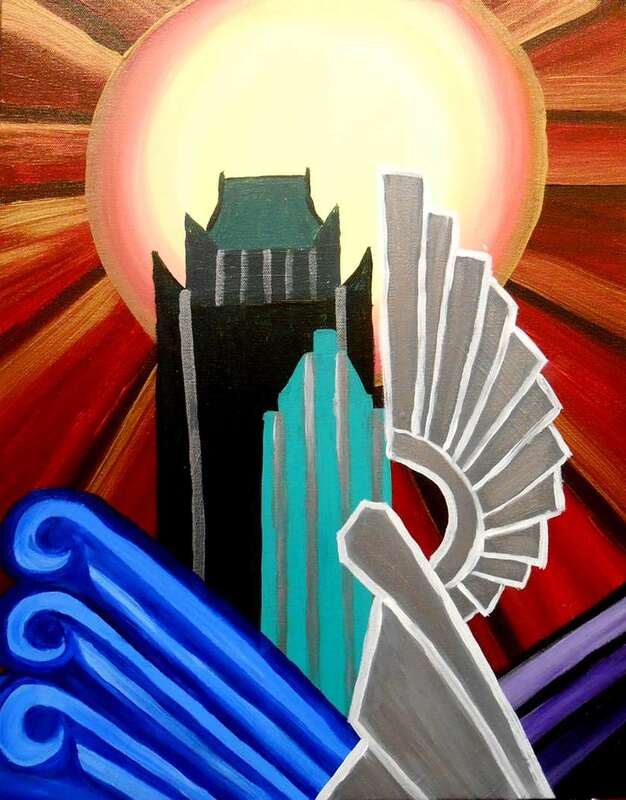 The Tulsa Art Deco Museum is happy to welcome the collection of Blane Snodgrass! Beginning February 2, 2015, this private collection will be on display in the Philcade Lobby, along with our permanent collections. Located at 511 S Boston Ave, Tulsa Oklahoma, the Tulsa Art Deco Museum is unique in Oklahoma. As a boutique window gallery museum, we are located in the historic Philcade building in downtown Tulsa. The original window fronts in the lobby have been reclaimed as areas of display and feature examples of the Art Deco movement, from the 1920s into the 1980s. Come and experience Tulsa in the way it’s builders intended – with awe.